LOUISVILLE, KY (WAVE) - UK guard Ashton Hagans announced on Tuesday on Instagram that he is returning for Lexington for his sophomore season and will not go through the NBA Draft process. Hagans started 30 of the Cats 37 games averaging 7.7 ppg and a team leading 4.3 assists per game. He also led the team with 61 steals. 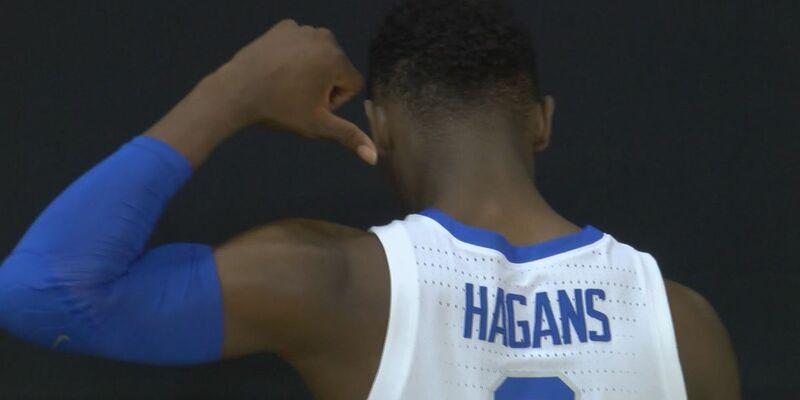 Hagans was named Co-SEC Defensive Player of the Year, along with LSU guard Tremont Waters. PJ Washington announced on Tuesday that he is headed to the NBA, while decisions from Keldon Johnson and Tyler Herro have not been announced yet.